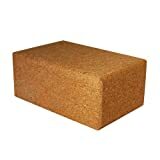 Store Home » Cork Yoga Blocks » YogaAccessories Eco-Friendly All Natural Cork Yoga Block - 3" x 6" x 9"
YogaAccessories Eco-Friendly All Natural Cork Yoga Block - 3" x 6" x 9"
Our 4-inch Yoga Block now comes in sturdy, eco-friendly cork! See why this product received nothing but rave reviews on Yoga Accessories and Amazon.com. The unbranded 4" Cork Yoga Block is made from sustainable all-natural cork and contains no synthetic materials. 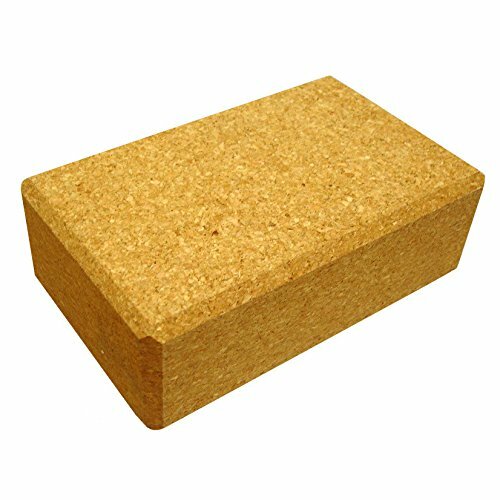 Cheaper than imitators, the cork block is the most affordable eco yoga block on the web. The cork blocks are denser and sturdier than our foam blocks. Yoga blocks and bricks help yogis reach the ground in standing balancing poses, improving flexibility proper alignment. Natural textured surface with rounded edges provides a no-skip contoured grip, and looks serenely earth friendly!